Lithographed by Henri Gillet 1854 (April August): 5 c. pale reddish brown, a superb used horizontal apir, close but clear at top of first stamp, enormous margin at base and showing portions of two adjoining stamps, used with September 1854 Desmadryl 10 c. blue with huge margins all round and portion of adjoining stamp at top, paying the 1 ounce rate on 1854 cover from Santiago to Valparaiso tied by six barred target handstamps in black. SANTIAGO despatch cds in red below (Sept 30). A superb combination of issues on cover in oustanding quality. 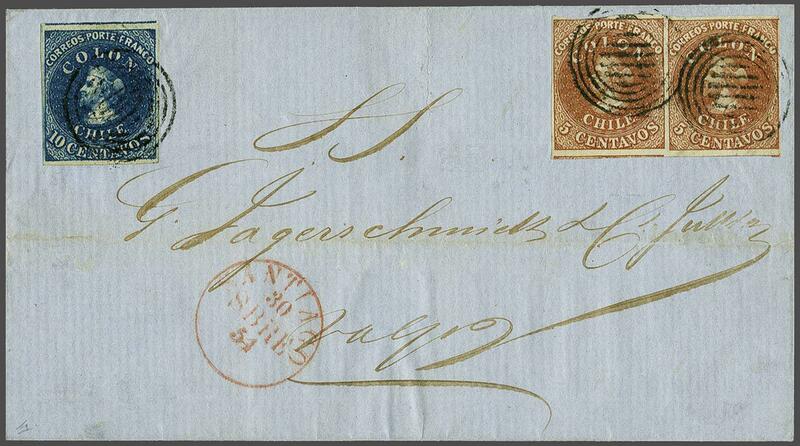 A great rarity of Chilean philately and a cover for the connoisseur. Cert. 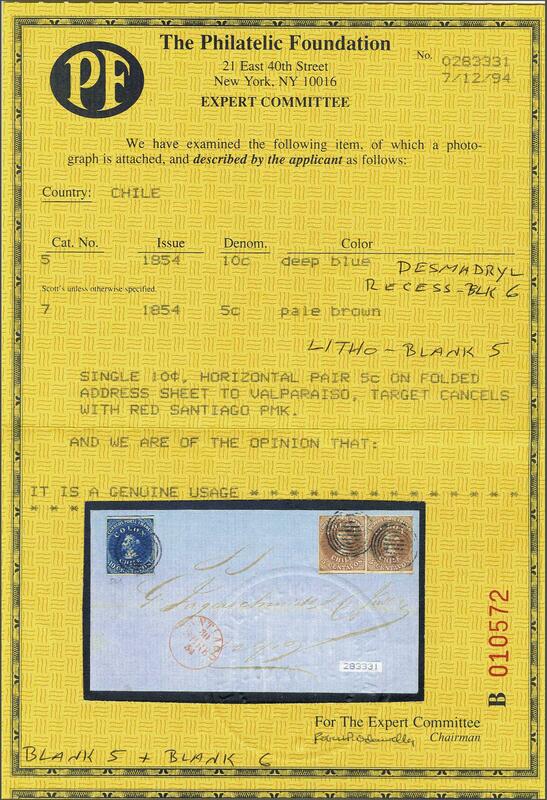 Philatelic Foundation (1994).rnrnProvenance: Corinphila sale 90, Oct 1994, lot 6379.